A home run is an incredible way to win the game. You risk it all on one big swing, hoping that night will be the night you single-handedly make the difference. 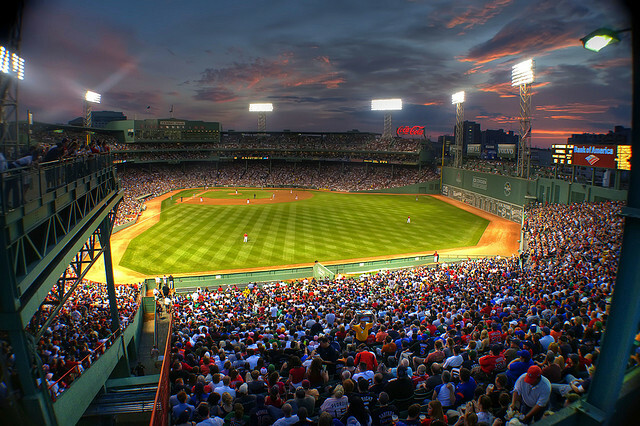 However most teams in the MLB this season average less than 1 home run per game. Usually, games are won by singles or doubles, accumulated over an inning – not a magical moment of individual brilliance. So it is with our work or any pursuit we are trying to excel in. Undoubtedly, we dream of a home run each time we wake up in the morning, hoping that today will be the day the crowd finally witnesses our hidden talent. Though instead of aiming to hit it out of the park each time, we should try to simply hit the ball first. Then, hit singles. Hit singles as consistently and reliably as anyone. Turn up, deliver what was promised, contribute, improve, share. Hit singles every time. Eventually, you might even hit a home run. Yet until you are known as the person who is reliable, the one-off remarkable success will only be viewed as a fluke. True success comes from mastering the basics, over and over again. This is a skill as rare as smashing it into the crowd. When a fruit shop owner is looking for somewhere to lease, they consider the positioning of the shop and how many people walk past each day. The theory is that the more people walk past, the more exposure the shop receives and thereby the probability that someone will walk inside and purchase something. Notice how many steps there are in that process? At least five opportunities for a lead to disappear. It’s the same for a website, app, service, experience or relationship. Making people aware you exist is only the first challenge. The rest of the purchase journey, or funnel in e-commerce terms, is just as at risk of leakage. On the flip side, understanding where things go wrong at each of these steps presents a significant opportunity to improve your business. Foot traffic, visitors, website visits and app downloads are only the beginning of the interaction. The rest is equally, if not more important. Storytelling in a world of noise. Perhaps one of the greatest trends in digital behaviour is a lack of concentration. Tweets are short. We use multiple devices at once. Often, we never use apps more than once. Information is everywhere, uncensored and almost free for all. How then, do we expect to keep telling our stories the same way? How can we expect to sell the same way as we did before – when people used to pay attention to ads and billboards? All we know is that we can’t follow the status quo and sell the facts. We have to have a unique story or emotional connection to break through the noise. Tell our story only to people who are predisposed to the product. Tell it in a way that focuses on comedy, pain, fear or motivation – not on the boring facts. Apple didn’t directly try to sell us anything. No prices, sales or loud people screaming at us to rush into store. It’s about emotion, a simple story of family, creativity, love and a unique shared experience. It captures something we all hope for each Christmas. No complications, villians or heros – just a kid who uses his phone to make something special. This ad is great because it makes us feel something without being sold something, but we still remember it’s from Apple. People say the best authors write in a way that makes us think we could’ve written it. For marketers, this ad gives us similar hope. Anyone could’ve made this ad. What story are you going to tell next year? Why do most call centre’s seem out of touch? Is it the robotic voices that ask you to reveal your personal details out loud on public transport? Could it be when they pretend to check with their supervisor before coming back with ‘no, we can’t do that’? Or is it when we are transferred to 5 different departments before someone can help? One overlooked reason why our customers become so frustrated with our service is how we structure our teams. 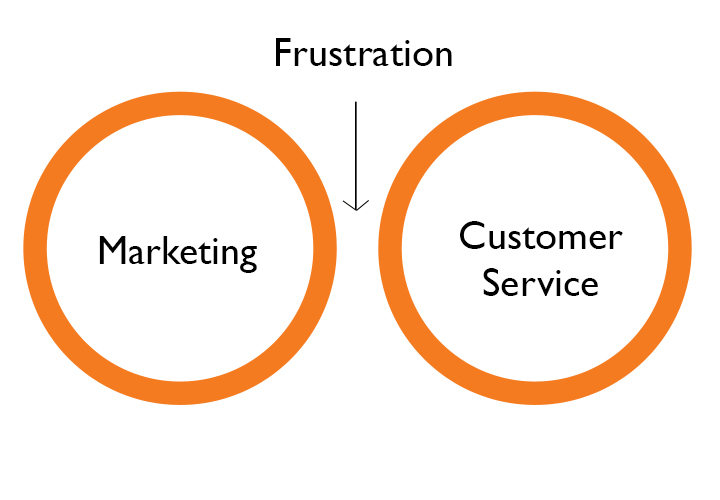 The people tasked with delivering and improving what we offer (marketing) are completely separate from the team that helps support that offer (customer service). In fact, they’re not only separated on the organisational chart, but often by countries and time zones too. As a marketer, the best thing you can do to truly understand your user’s experience is not to spend time on social media listening, send out surveys or cold call customers – it’s to spend one day in your support centre. Suddenly, you will see the frustration gap. You’ll see why quality support staff are essential to any business and why so many businesses fail. You’ll see where potential customers drop out, why carts are abandoned and how a 1-step process can morph into 20. The positive: we can fix it. What are you doing to close the gap? The Growth Hacker Marketing movement is gaining momentum. ‘Growth Hacking’ isn’t the easy way to reach your customers, because that doesn’t exist. It’s the recognition that the most successful new startups don’t rely on big media and advertising budgets to reach their customers. Instead, they target precisely the right segment. Communities of people who naturally look our for a type of product you offer. This slideshare includes some of the tools we can all use to optimise our marketing. I hope you find it valuable. My recommended reading list includes a book on Growth Hacking by Ryan Holiday. It’s a great read. Have new posts sent to your inbox. Sign up. The 80/20 rule is one of the most well-known theories of management and marketing. 20% of your customers, messages, employees or time give you 80% of sales, conversions and output. It’s ironic that this is one of the rules we get wrong so often. Why? We chase our losses. It’s a common reason for problem gambling where we fail to recognise what’s causing us so much damage. Every time you ignore the evidence that your social media marketing is draining your time, or that your sales mainly come from a demographic you don’t particularly like, you chase your losses. Refusing to accept where your 20% is and cutting out the ineffective 80% is a quick road to disappointment. Let’s be more honest with ourselves and make sure our efforts are spend in the most valuable places. We often forget that our customers are just like us. They are perceptive and intelligent. So why do we treat them like extra work? Why do we sigh and moan about how much stress they cause us? Let’s choose optimism over cynicism. Serve them like you would serve your own family, because the easiest way to lose a customer is to treat then like one. We all spend time and money on different ways to get customers or to keep them. But how do we know what works? Many assume that spending more money on advertising is the answer to all business problems. But many times we fail to measure how effective each message is and, usually, we find out that we aren’t breaking even on each ad we buy. 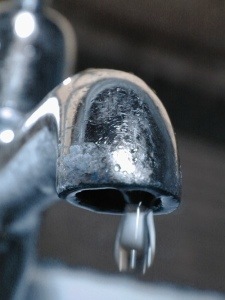 Turning the tap on harder when the pipe is leaking is only going to make the leak worse. The truth is we might be better off handing out the money on the street. So make sure you know, really know, where you’re leaks are and understand that more doesn’t always equal better. I am not my target market. A big mistake many businesses make is that they focus on themselves. What do I like? What would I pay? What do I believe? What do I buy? When, in fact, the only similarity between us and our target market is that we are the same species. That’s it. We try to get around it by generalising or profiling our customers and guessing what they like (while still basing it on our personal preferences). Researching your target means there are no assumptions. Just ask them what they like. Show them your work and ask for their feedback. You might be surprised how well your message cuts through when you show intimate knowledge of what they want to hear, see and do.